Africa is one of the most blessed continents of the world. It has one of the most preferable weather condition and its land is blessed with different mineral resources needed for agriculture. There are deserts but areas which are not desert are either good for agriculture or have other mineral resources like petroleum. Africa has one of the largest population for small to medium scale farming activities in the world. Despite this, it is also known to have one of the largest population of the poor. The poverty population in Africa can be directly linked to the number of these small and medium scale farmers. Agriculture in Africa is one of the main stay for all families for decades before the adoption of western education. The western education brought technology which penetrated all sectors in the African economy but it encountered rock in the areas of agriculture resulting in to slow adoption. This is because a larger population of small to medium scale farmers are illiterate. Although this is changing day after day, the difference is not noticeable as the literate ones are no different from the illiterate for lack of capital. The educated farmers know which farming practices are the best, they know what materials and machinery are best for farming activity but they lack the capital to do so. They can apply for loans from banks, but without collateral, their application cannot be successful. Despite these setbacks, agricultural products in Africa has been enviable, and good for export if the only criteria are how big or healthy looking they are. Many countries like the United States which could have been one of the best recipients for these products requires strict record keeping and farming history for any product that will eligible for import into their country. Sadly, many African farms lack these records thus making their produce ineligible. Farm records or history are needed to ensure that the best farming practices are employed when growing a particular crop to avoid complications such as food poisoning and growth problems. This kind of records needs to be kept secure and out of reach for third parties for its absence can make a farm ineligible. Governments in Africa are trying their best to help farmers achieve the goal of full mechanization of their farms. But because of low capital, their visions are truncated limiting them and rendering them powerless. Many African governments are debtors to the World Bank for financial aides which have been provided in the time past which they are unable to refund for the downturn of the world economy. They are sternly looking for other means to help small and medium scale farmers through creative projects to help with the capital. Xinfin has proven to be one of the best blockchains over the years with infinite numbers of applications. This is because it implements and encourages interoperability of existing blockchains. Xinfin is a fork of Ethereum and Qurom taking the best features from each. This is why Xinfin is a hybrid blockchain protocol with the private and public blockchain attribute. This means that it gives users the opportunity to decide which aspect of their transaction to be made public and which to make private. It has been referred to as the first KYCed blockchain. Xinfin recently published an update (via Medium) where it stated that its blockchain solution could be used for land registry in the Indian government. Though cryptocurrency is banned in India, yet private blockchain solutions can be applied – this is without the use of cryptocurrency. Through this solution, land can be attached to its owner’s identity and be securely stored on a permissioned blockchain. This could be a turnkey for big data registrations and security in many countries of the world especially in Africa. 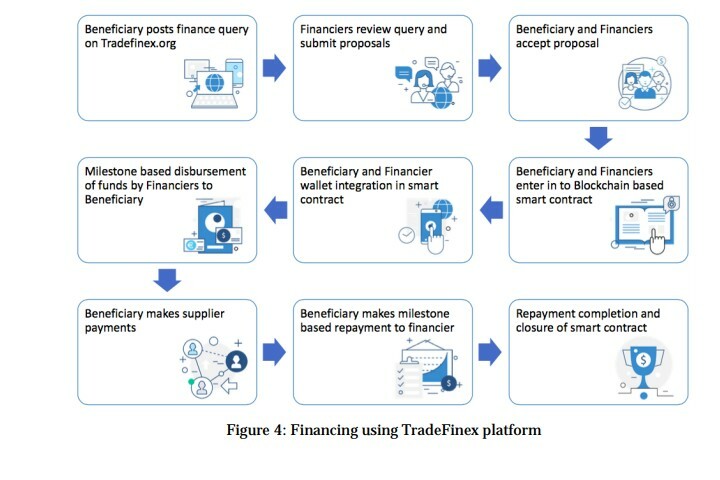 Tradefinex is another solution provided by Xinfin to help the increase the efficiency of global trades. 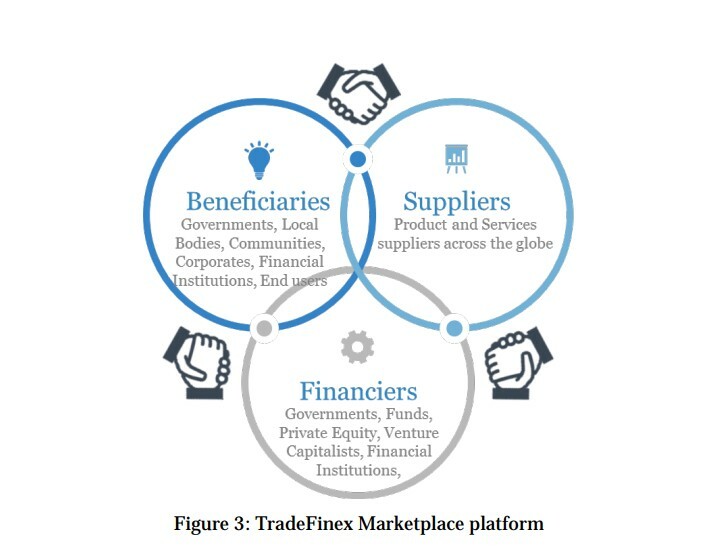 Tradefinex seek to connect three key players in the global trade and finance: Beneficiaries, Suppliers, and Financiers. The Beneficiaries are governments, corporations, and bodies that create or implement projects. Without cash flow or capital, these projects cannot be implemented thus creating an unsurmountable setback. The Suppliers are those who supply goods to beneficiaries. Sometimes they are limited because of distance. They are at the risk of having delays in getting payments from those they supply for cross border restrictions. The financiers are governments, corporations who wish to invest in productive visions or projects but are limited to their immediate environment. Tradefinex connects these three key players so they can help each other thus improving the global trade and finance. Tradefinex uses smart contracts on its blockchain to help each pairs interacting. On Tradefinex, financiers can check proposals from different beneficiaries choose the ones that suit them. The financier and beneficiary they proceed to agree on terms. After this is concluded, the smart contract which links the interacting parties’ account is deployed based on the agreement. Funds are released based on milestones achieved to enforce transparency and accountability. The smart contract also ensures truthfulness and execution of the terms of the agreement from both sides. The supplier and the beneficiary can also transparently agree with a smart contract on the platform acting as an escrow for the benefit of both parties. With some of the problems of agriculture in Africa and the benefits of Xinfin, readers should able to connect the dots and see the potential of the technology in Africa. The Xinfin Hybrid blockchain can be an effective tool to be used in Africa to keep farming records and history secure and at the disposal of its owner. Since Xinfin has the private and the blockchain attributes, the farming records of a farmer can be sent privately to a destination country where goods are to be imported. While the name and other public details of the farmer and the goods remain public on the Xinfin blockchain. The hybrid blockchain will surely give the receiver an assurance that the records sent are authentic since it was gathered over a period of time on the blockchain. Small and medium scale farmers in Africa could leverage this technology since they are versatile and many of them are now educated. It is no doubt that African farmers can be opened to great support from the world through Tradefinex on the Xinfin blockchain. Because of their size, small-medium scale farmers could come together to form associations (there are farmers’ associations in Nigeria) which can send project proposals on Tradefinex to seek for funds from financiers with the use of smart contracts. Financiers can also be sure and trust these associations because milestones in the smart contract will not allow funds to be released unless they are reached. This will be a boost for both sides. Governments in Africa can also come on the platform to seek help from other governments and corporations on behalf of its farmers. Trust is ensured since accountability and milestones in the legal smart contracts will ensure delivery. Tradefinex can also open African farmers to a global market that they never had access to before. They will be able to interact with suppliers of farming materials directly and they will be able to be a credible supplier of their farm produce to other people in the world. There is no doubt that Africa can be the greatest beneficiary of blockchain technology like Xinfin. 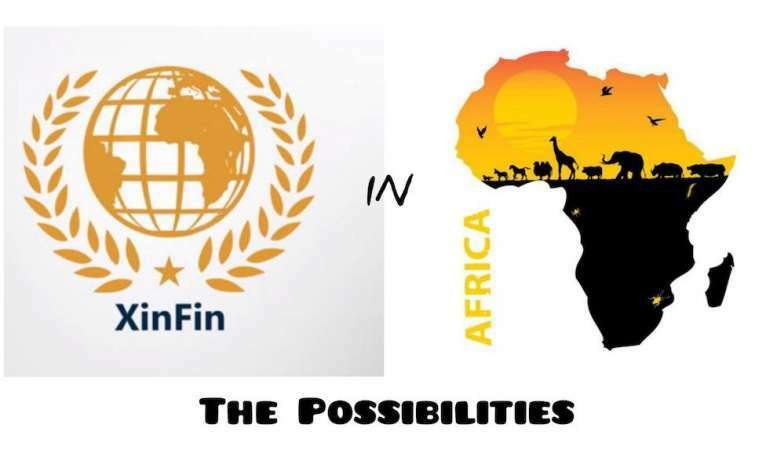 There are a lot of sectors that could really use Xinfin’s solution for a boost in Africa some of which will be explained in the future. There is nothing impossible, as this has been proven by the blockchain itself over the years. Africa still remains one of the largest unmined economies by blockchain technologies like Xinfin. At The Currency Analytics and FinancialReport24, our focus is to deliver authentic, real and up to date news about cryptocurrency. Our platform remains one of the top Google approved cryptocurrency and financial news platform which values authenticity and the reality of the information we pass. Always be on the lookout for the next exciting story on the blockchain.